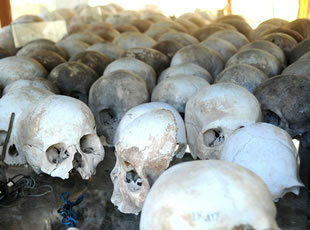 One-fifth of the Cambodian population was exterminated during the ‘70s by Pol Pot and the Khmer Rouge. 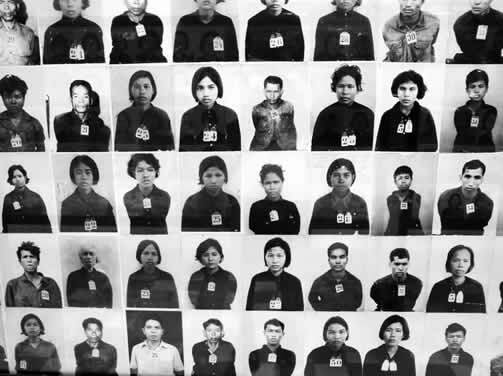 It was in Phnom Penh’s Toul Sleng Prison, a converted school building, that the torturing of thousands of individuals took place and in the Killing Fields, south in the countryside, where they were shot and buried in mass graves. So many times while shooting we discovered that there was no “family” order in the city, to the extent that we found in many cases children raising children. Clear evidence as to what the true value of the family is to be.